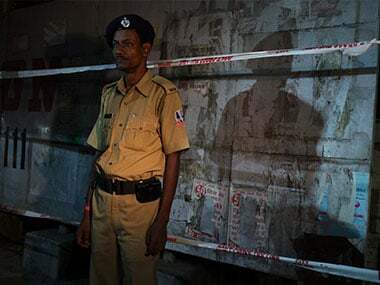 In a sensational revelation, D Roopa, the Deputy Inspector General of Bengaluru's Parappana Agrahara Central Prison, had last week alleged how jailed AIADMK leader Sasikala was getting a royal treatment in the women's cell. Roopa, who came to the limelight as the whistleblower in the Sasikala's bribery to her senior officials in the prison, has been in news since then. Most recently for being transferred for her honesty. Here's all you need to know about the feisty IPS officer. Roopa had alleged that 59-year-old Sasikala was getting a royal treatment in the women's cell where she has been lodged since 15 February to serve her sentence. 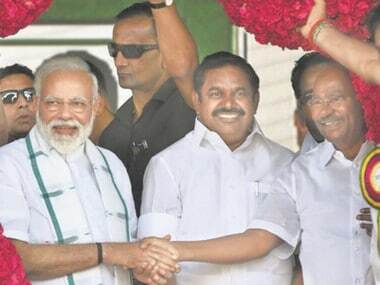 Sasikala has given Rs 1 crore bribe to Director General of Police (Prisons) Sathyanarayana Rao and another Rs 1 crore was distributed among officials, including warden of the central jail where she is serving four-year sentence in an illegal wealth case for allowing her special privileges, a local news channel had said. "As a reward for bribing the prison authorities from Rao to the jail warden, Sasikala gets special menu daily, cooked by special chefs in a special kitchen near the women's cell," Roopa is said to have mentioned in a report. "At least 18 of the 25 prisoners who were tested for taking drugs reported positive. From the DGP to the jail warden are involved in flouting the prison manual," alleged Roopa in the report. On 14 July, the state government issued a notice asking her to explain why she had revealed information to the media. 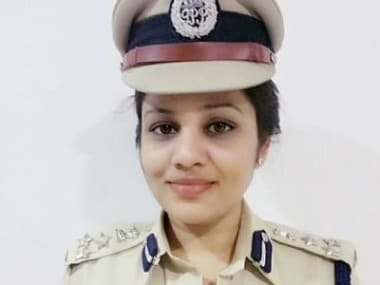 According to IANS, the 2000 batch IPS officer from Davangere, Karnataka, is the first woman in the southern state to have been recently (23 June) appointed as DIG of the prisons department. The report said when DGP Rao refuted the charges against him, he questioned how Roopa could find so many wrong things in three weeks of joining the department. A report by India Today mentions how as an SP, Roopa had arrested the then chief minister of Madhya Pradesh Uma Bharti after a court order in a rioting case. When she was the DCP of Bengaluru, she withdrew several police personnel who were unauthorised to be attendants of VVIPs and politicians. As DCP City Armed Reserve, she recalled a number of police vehicles that were being used in the cavalcade of former chief minister BS Yediyurappa without a permit. According to DNA, Roopa isn’t one to mince her words. If you follow her on Facebook, she is a regular contributor to Kannada media, and has even appeared on news channels as a panellist, the report said. Recently, she was involved in a Twitter spat with Mysuru Kodagu MP Pratap Simha after four senior IPS officers went on central deputation. In a war of words, Roopa told Simha that politics and bureaucracy should be kept away from each other, Financial Express reported. In 2000, D Roopa had secured 43rd rank in the UPSC exam. During her training at National Public School (NPS) Hyderabad, she ranked fifth in her batch and was the only officer allotted to the Karnataka cadre. Roopa has won many awards in National Police Academy (NPA) as a sharpshooter. She was felicitated with President's Police Medal for Meritorious service on 26 January, 2016. A trained Bharatnatyam dancer, Roopa is also well versed in classical Hindustani music.